Heat oil in a large frying pan over medium-high heat. Cook onion, carrot, and chile flakes until onion is softened and translucent, about 3 minutes. Stir in coconut milk. Add tomato and shrimp and cook until mixture is simmering and shrimp are pink, about 4 minutes. 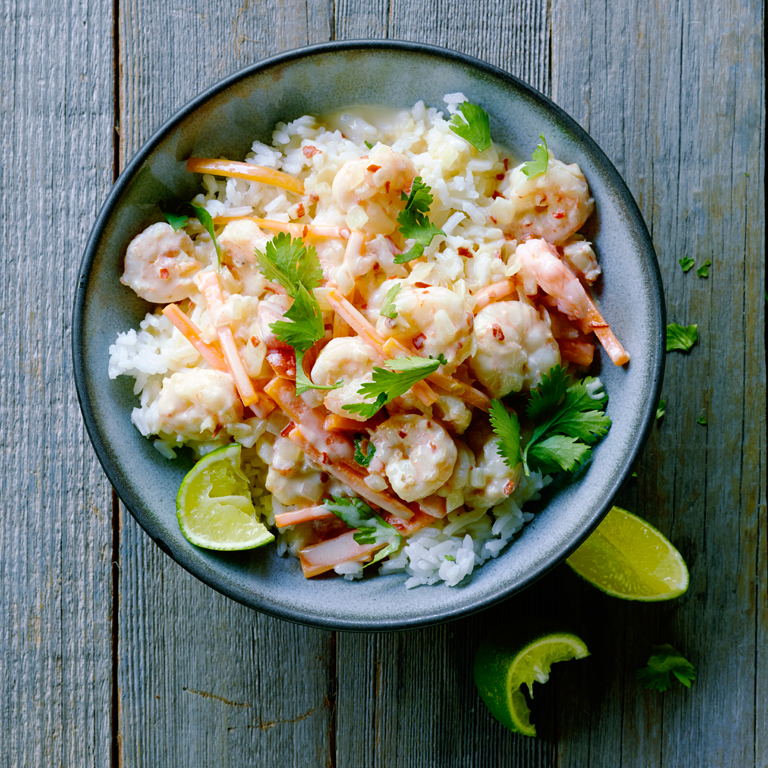 Spoon shrimp mixture over rice and sprinkle with cilantro. Serve with lime wedges for squeezing.